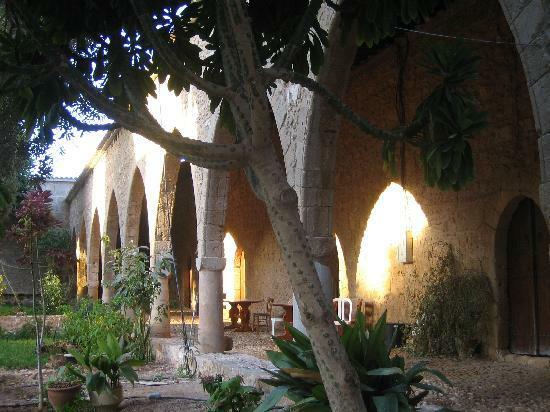 Agia Napa Monastery is the medieval archaeological landmark of Agia Napa. The Monastery was built around 1500A.D. but inside the old church lies a cave which suggests it may have been used as place of worship during much earlier period. The Monastery is dedicated to Virgin Mary because according to a local legend, an original icon of Virgin Mary, was found by a hunter in the cave. The Monastery originated as a women's convent, converted to a monastery and then, in 1978, became an Ecumenical Conference Center. The cicemon outside the monastery is believed to be more than 600 years old. This tree with the he size has its own part in the history of Agia Napa. Under its leaves the Greek 1963 Nobel Prize Winner wrote some of its great poems dedicated to Agia Napa and which made famous all over the world. He was the first one to see the real beauty of the area, when Again Napa was just a picturesque fishing village. Located at the centre of Agia Napa, the presence of the Museum in its multi-purpose design serves to display sea artifacts, host symposia, corporate events and concerts, traveling art exhibitions, and to conduct a variety of entertaining, scholarly and educational programmes where the audiences could actively participate. The main highlight of the Museum, it is the “Kerynia II”, a life-size replica of the ancient ship “Kyrenia”. The “Kyrenia Ship” is a Mediterranean trading ship, which it was built in the early 4th century B.C. 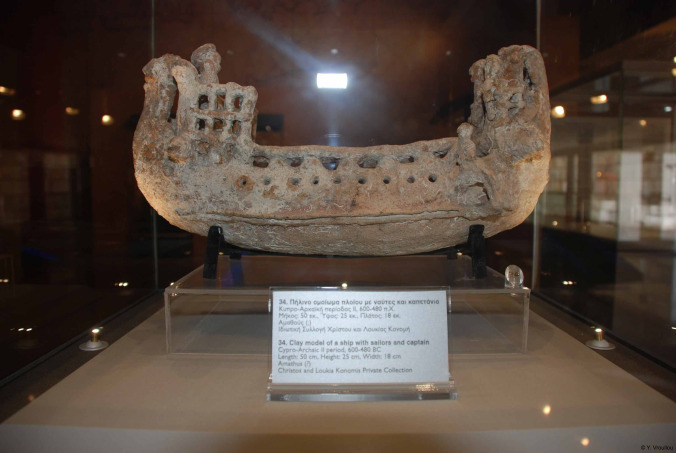 and is the oldest Greek vessel ever discovered. Andreas Kariolou who was seeking for sponges accidentally discovered it, in 30-meter-deep waters off the coast of the town Kyrenia on Cyprus in 1967. Among the cargo recovered were approximately 400 amphorae for wine and olive oil carrying, and for the storage of almonds. Another attraction of the Museum is an exact replica of a Mesolithic (9200 B.C.) papyrus raft, which was used in antiquity to transport obsidians from Greek islands into the mainland. The location will also house a varied collection of statues, idols and vases covering the different historical periods of Cyprus (9000 B.C. to 1878 A.D.). Furthermore, the museum hosts pale-ontological exhibits, which include fossilised fishes, shells, corals, ammonites and stuffed sea animals such as fishes, mammals, turtles, seal, corals, sea-urchins, starfish, sponges, marine plants and others found in various parts of the island. An attractively designed cafeteria, a gift shop, an open air amphitheatre for the summer that serves the community for concerts, dances and other cultural performances; and a multipurpose hall for periodic shows, educational programmes, lectures, seminars and workshops, supplement this contemporary Municipal museum complex. 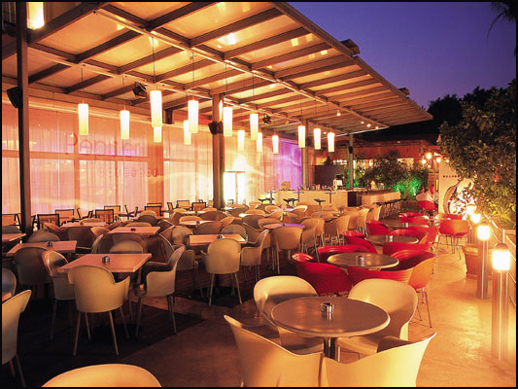 Eating Out: Variety is the spice of dining out in Agia Napa, where countless restaurants specialise in a host of cuisines from around the world, everything from the romantic and traditional, to fast food and pub-grub being on offer. Whether it is a Big Mac, fish and chips, a Chinese take-away or formal French you fancy, you wont have to go far to find it. Local cuisine: Visitors are well advised to try the Cypriot fare. Highly recommended is the typical Cypriot meze, made up of between 15 and 30 bite-sized island dishes. 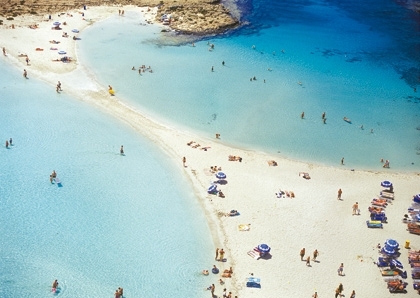 Agia Napa legitimately claims one of the most exceptional coastlines in the Mediterranean. Crystal clear waters, golden sugary sands and delightful sunshine make bathing sheer bliss for those of all ages. But what is also very important and significant is that all Agia Napa's beaches has been awarded the Blue Flag of Europe. The Blue Flag is annually awarded to Beaches and Marinas that comply with a list of criteria set by the International Foundation for Environmental Education (FEE), ranging from water quality to environmental education and information to beach/marina area management and safety. Eleven (11) beaches in Agia Napa, have been awarded the Blue Flag, proving the quality of the waters, the safety and the services offered. This means that all public beaches in the Agia Napa area have been awarded the Blue Flag. The 11 beaches with the Blue Flag are: Kermia, Ammos tou Kambouri, Gliki Nero, Pantachou, Katsarka, Vathia Gonia, Nissi, Nissi Bay, Lanta, Makronissos, Agia Thekla.